Employs big and small lightning type grooves. YOKOHAMA has expanded the groove volume while increasing block rigidity to enable safe and secure driving on rainy days. Innovative, new 'noise-controlled pitch' ensure a consistently quiet ride. 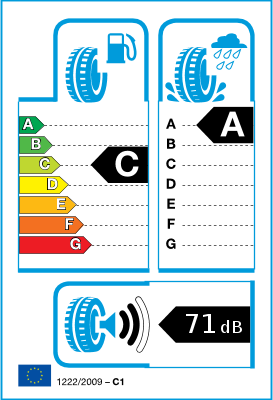 While continuing to ensure that noise is dispersed by varying the pitch, BluEarth-A tyres suppress the incidence of uneven wear and maintain quietness as the tyres wear by making the pitch variation smaller. 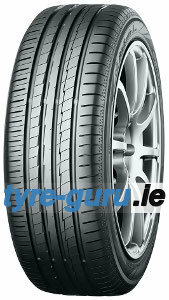 New BluEarth-A tyres also boast an enhanced level of quietness by increasing the number of pitches to 84. BluEarth-A AE-50 special compound that elicits exceptional maneuverability. YOKOHAMA employs technologies and manufacturing methods in order to realize the best balance of fuel efficiency, wet grip and wear resistance. The use of double silica and orange oil improve grip performance on wet roads.